Looking for a Whole30 Approved gameday app? These Paleo slow cooker buffalo chicken meatballs are gluten-free, dairy-free (blue cheese is optional), low carb and absolutely delicious with an all-natural hot sauce! 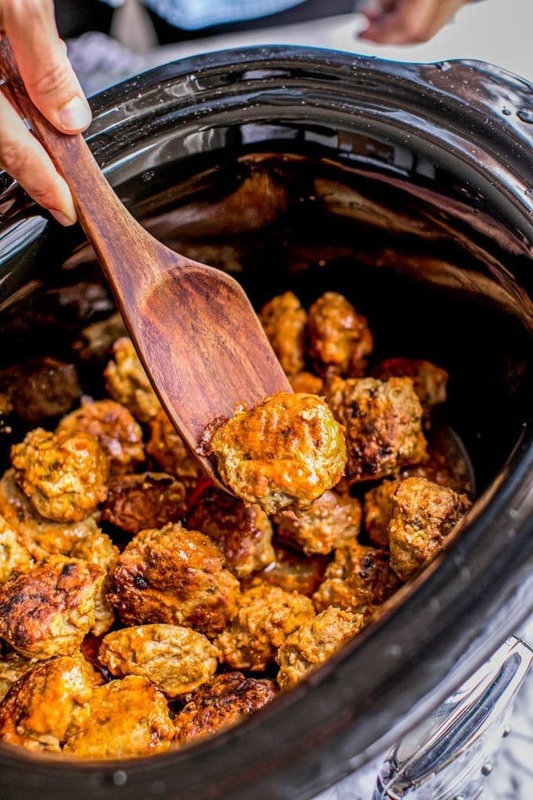 Made in the crockpot, this quick + easy meatball recipe is the perfect healthy tailgating snack. We are a few games into football season, and I’ve already made these meatballs three times. 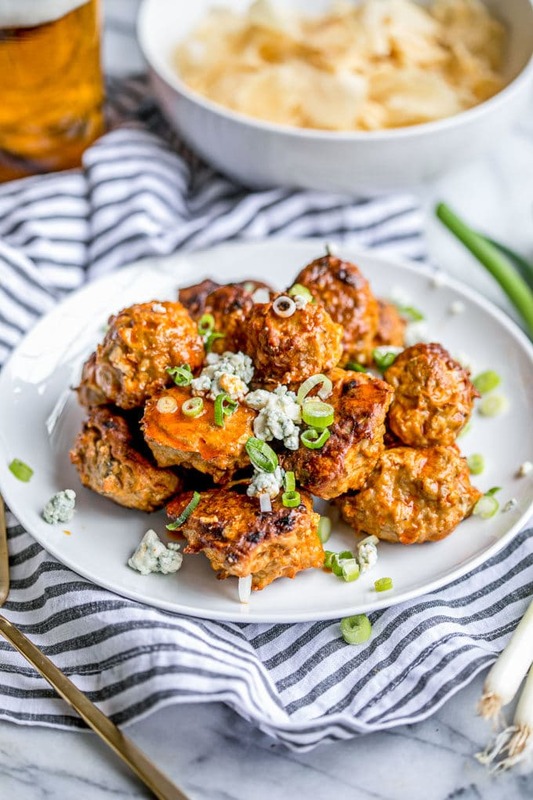 I’m telling you–if you like buffalo chicken wings, meatball apps AND easy, healthy tailgating snacks, YOU NEED TO MAKE THESE BUFFALO CHICKEN MEATBALLS! I first came up with this recipe back in February 2016 when Matt and I were in the midst of our first Whole30 challenge. Needless to say, my options were a bit more limited when it came to gameday eats. But after experimenting ad nauseam with gluten-free meatballs, I finally came up with a winning combination (thank you coconut flour!) 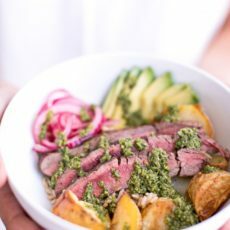 that combines all those classic sports bar flavors (read: no flavor sacrifice) in one Whole30 Approved, Paleo recipe. Oh and did I mention they’re made in your slow cooker/crockpot, so they’re beyond easy to make! 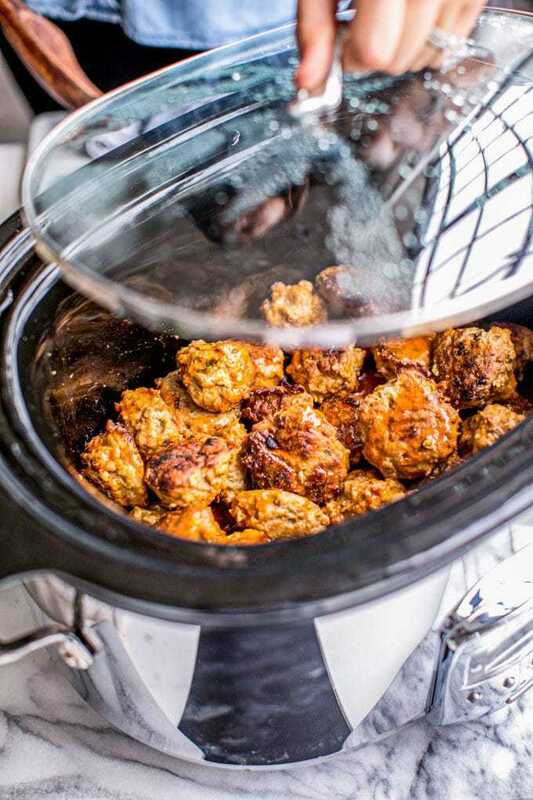 The key to the perfect slow cooker meatballs lies in your oven. I know, that doesn’t sound right. But hear me out–yes, it’s an extra step, but if you want your meatballs to have a crispy crust (and trust me, you do! ), then it’s worth the extra few minutes. Plus, it’ll save you time in the long run because then the meatballs really only need a couple hours in the crockpot, rather than all day. See, you know I have your back! Simply broil the meatballs first to get them ever so slightly crispy and well-formed before you throw them in your crockpot. Just a few hours later, tender, flavorful meatballs perfect for gameday await. I’ve made these dozens of times now and they’re always a huge crowd pleaser–I don’t advertise that they’re actually healthy and nobody can tell the difference. Even after I made the switch to natural hot sauce. Canola Oil, Xanthan Gum, Sodium Benzoate, Natural Butter Type Flavor. Bad, Bad, Worse…no thanks. “Natural Butter type flavor” annoys me to no end. Why not just use actual butter? Would that be so terrible?! Because you know what’s actually natural butter flavor: BUTTER! I was so glad to find Tessemae’s All Natural Buffalo Sauce at Whole Foods. The only ingredients you’ll find in this all-natural buffalo sauce are good-for-you olive oil and real food, like Aged Red Peppers, Distilled Vinegar, Lemon Juice, Garlic, Organic Mustard and Organic Spices. No preservatives or harmful chemicals. No “natural” flavors. 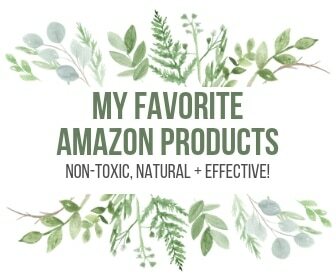 No harmful oils. And it seriously tastes amazing, too. I even prefer it to the flavor of Frank’s. Go figure, the real thing tastes better! More good news: these meatballs are insanely low calorie, low carb and low sugar, full of protein and chockfull of nutrients like B vitamins, Potassium, and Vitamin K.
Of course, you really need to use organic, pasture-raised ground chicken. 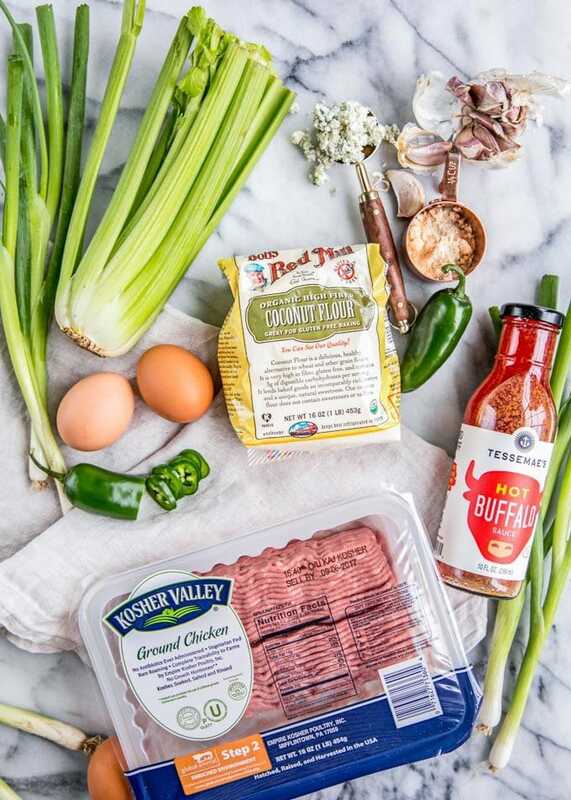 Whole Foods sells a wide variety of choices (I always look for their Global Animal Welfare Rating and strive for at least a 2 or higher), or you can order sustainable, humanely-raised meat from one of these incredible delivery services. 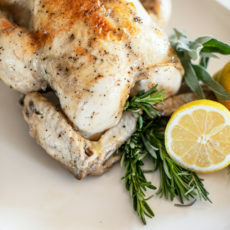 Whole Foods in the Southeast US actually sells one of my favorite chickens from White Oak Pastures, which is a Step 5+…doesn’t get any better than that! If you’d rather shop online, I’m a huge ButcherBox fan. What’s not to love about getting healthy, sustainable cuts of meat delivered right to your door? I’m all about saving time, and with ButcherBox, you don’t have to sacrifice quality for convenience. Want to try it yourself? Get $15 off plus FREE heritage-breed, uncured, sugar- and nitrate-free bacon in your first box! These buffalo chicken meatballs are great plain, or you can also toss them with a salad–I like mine on romaine with red onion, bell peppers, celery and extra buffalo sauce for salad dressing. Sometimes I use Tessemae’s Honey Mustard dressing instead, which is a delicious complement to the spicy buffalo flavor. On gamedays, I just serve them straight out of the crockpot and my guests can just come over to the counter and then load up their meatballs with toppings. Ummm… isn’t dairy not Whole30 or Paleo? Yes, you’re right. And rule followers take note here. The meatballs themselves are Whole30 Approved, Paleo, gluten-free and dairy-free. Nothing but chicken, veggies and coconut flour here. Buuuut…if you’re not following one of those diets and you like blue cheese (the stinkier the better, amiright? ), I HIGHLY recommend adding some to your plate, either as a garnish or even right into the meatballs themselves before you broil them. It’s optional, of course, which is why I labeled these buffalo chicken meatballs with those qualifications. 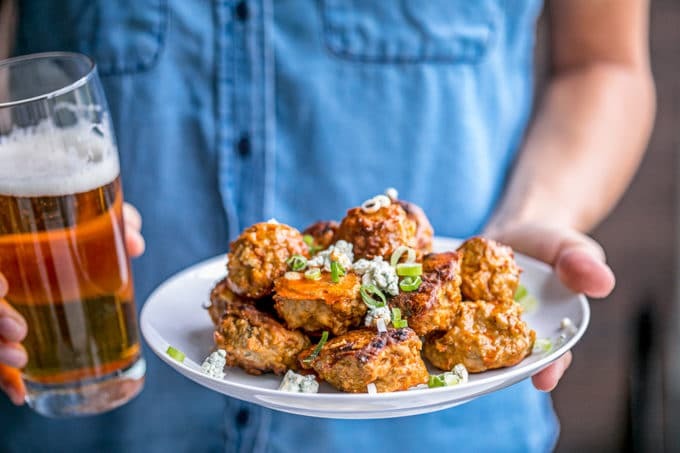 But, since I can tolerate cheese, and there’s just a little bit which goes a really long way, I like adding blue cheese to these buffalo chicken meatballs. Happy Gameday! I hope your team wins…score the touchdowns…run fast…catch the balls… or whatever. Just make these meatballs. Everyone will thank you! In a large glass bowl, combine the ground chicken with garlic, onions, celery, jalapeno, eggs, coconut flour and 1/4 cup of buffalo sauce. Season with salt and pepper. Optional: if you want to add blue cheese, I recommend 1/4 cup here. 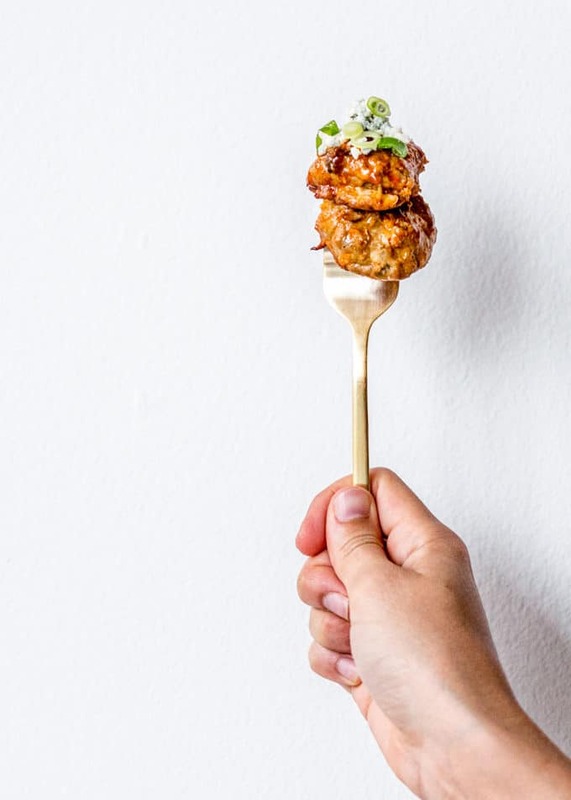 Using your hands, thoroughly combine the meatball mixture together and form into small meatballs (about the equivalent of 2-4 bites). Don't worry if the meat is a little sticky or if your meatballs aren't perfectly smooth--they'll cook up evenly under the broiler. Arrange the meatballs evenly on a baking sheet. Turn on your broiler to high (~550F) and place the baking sheet with the meatballs on the second rack. Broil for 10 minutes. Remove the baking sheet from the oven, and using tongs, flip the meatballs over. Broil for another 10 minutes. If you need to use 2 baking sheets, broil the meatballs in batches to ensure even cooking. Place the broiled meatballs into your slow cooker and cover with the remaining buffalo sauce. I often do this in layers to ensure the meatballs are evenly coated. Turn your slow cooker on low heat for at least 2 hours. Serve the meatballs directly from the slow cooker, topping with chopped scallions and optional blue cheese garnish. If you're serving the meatballs at a party and want them to sit out, turn your slow cooker to warm and they'll save all night. Enjoy! If you don't mind a little dairy, try adding 1/2 cup of blue cheese crumbles to the meatball mixture for an insanely delicious flavor boost! Likewise, you can garnish your meatballs with blue cheese dressing and serve alongside celery sticks. 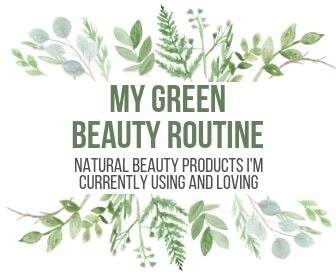 Found this recipe on Everygirl. Made it yesterday for the NCAA games. So easy and did not tell anyone they were Paleo, etc and the guys loved them! Went to Whole Foods for the ingredients but could not find the sauce. I used another one and it was ok but I think it could be better. I am on a mission now to find the sauce you recommended and make them again. Thank you! 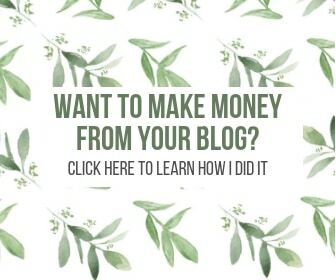 I am going to look through your site right now for more recipes. Yay! So thrilled to hear how much you all loved these, Regina! Hm, whole foods usually has the sauce. Looks like LuckyVitamin.com has it! I find it really annoying when recipes contain bottled sauces. Why not just make something similar from scratch. 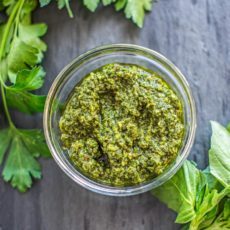 Hi, Lindsey: You absolutely could make your own buffalo sauce, but in the interest of saving time and convenience, why not use a bottled sauce when it’s as clean as Tessemae’s? I don’t use Tessemaes because it isn’t that easy to find In the UK. “Natural Butter type flavor” – wow … your recipe is definitely better. It sounds amazing. haha, gross right?! Thank you Michelle! Ohhh yes. These look SO good, whether you’re on Whole 30 or not! Definitely need to tr these! 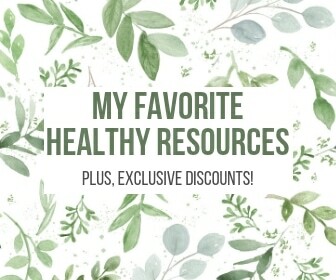 You certainly don’t need to be on Whole 30 to enjoy these! I hope you enjoy Karly. Slow cooker recipes are the best! I love buffalo sauce, and your use of coconut flour in this recipe. Aren’t they?! The coconut flour really binds them well! These sound amazing! and so simple! They are! 😉 Thanks Katie! These are a hit every time I make them! That’s so wonderful to hear Julie! I’m really glad to know that you’re enjoying them. These are making my mouth water just thinking about the flavor! Add some blue cheese and I’m in heaven!